The Library of Congress has put together a wonderful teacher’s guide for learning about Thanksgiving through primary source documents. The free 7-page download begins with historical background information on how on our nation has celebrated a day of thanksgiving throughout our history. The historical background covers the early thanksgiving celebration of Coronado, to thanksgiving in the new nation, through the beginning of thanksgiving traditions and an official Thanksgiving holiday. What follow are 21 primary source documents, drawings, and photographs that that can be analyzed to explore the American Thanksgiving tradition. Multiple versions of the signing of the Mayflower Compact allow students to consider artists’ differing points of view. Images of the landing at Plymouth in 1620, meetings with the Native people and the first Thanksgiving are included to help students consider the artistic vision in contrast to the reality of the actual events. Students can read and analyze official proclamations for a day of thanks from 1678, 1721, 1789, and 1863, as well as the famous letter from Sarah Hale to Abraham Lincoln requesting an official National Thanksgiving Day. 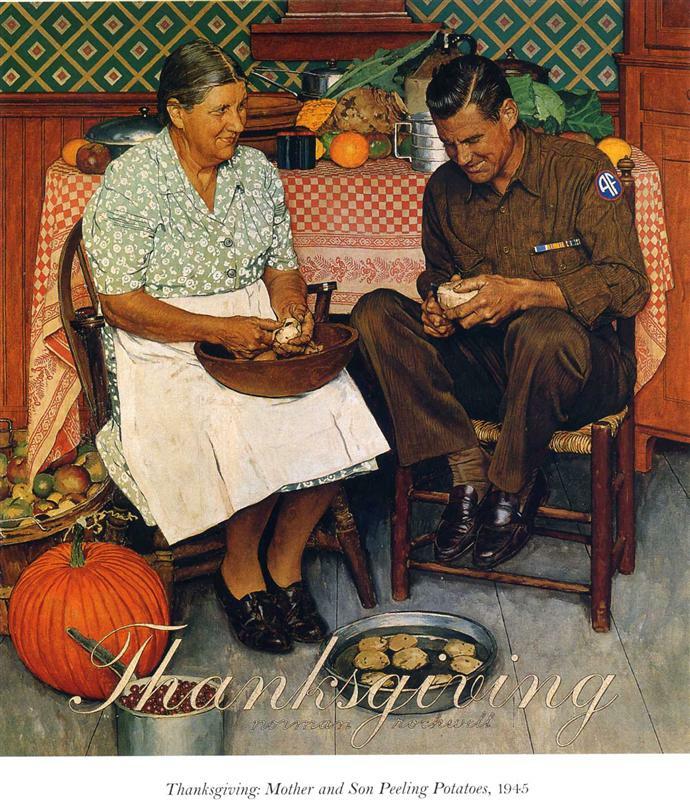 Thanksgiving drawings and photographs from the Civil War era, 1911, 1921, and 1942 present views of this American tradition during different eras. Students can compare historical Thanksgiving celebrations with the ways families, schoolchildren and communities observe Thanksgiving today. The resources linked to in the Teacher Guide can also be accessed in PDF form from the LOC site. Notebooking page with room at the top for a drawing or illustration, and room at the bottom for document analysis. Include this wonderful Norman Rockwell painting to your studies.